The next of our P90X3 workouts is Accelerator! This workout combines speeds…so you change speeds during exercises…to work both the aerobic and anaerobic pathways. But what does that mean?? Basically, traditional cardio is aerobic. You can sustain going at that speed for a considerable amount of time. Anaerobic is when you turn it up, usually to a level that is not sustainable, but doable for a short burst. Working this way helps you burn more calories overall, as you’re turning it up to that anaerobic point but not fully resting in between bursts. The exercises are done for a minute, with the changes in speed during that time. Note…you actually need two towels in this workout. Not just for sweat, but for moves. So don’t skip the towel and need to go get one during. Not that I did that (every time!). 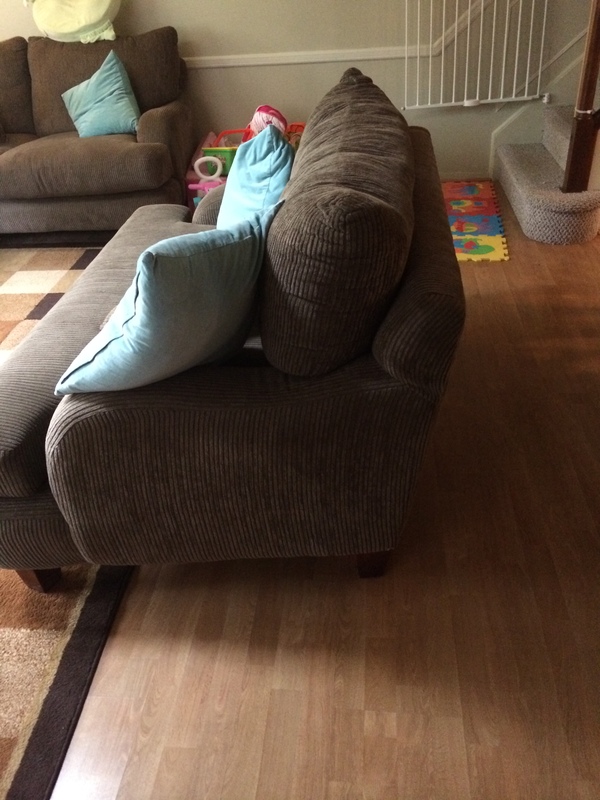 Another peek into my living room – I usually fall down during the Donkey Kicks. For these, you have your hands on the floor, and kick up, then land on one foot and bring the other through underneath you. 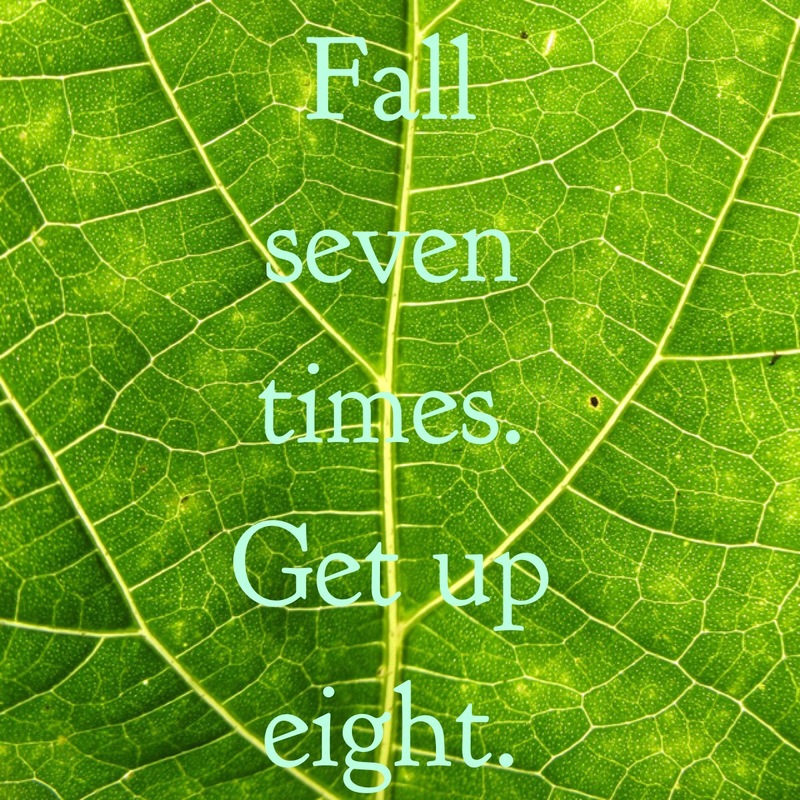 But get up again and smile when you fall! I think that’s the most complicated move in this workout. For the most part, they are challenging cardio exercises that you’ve seen before. Don’t let the name scare you away! You will be so thankful for the slow downs that you’ll forget you’re still working in those times! I think we have one more workout to go! I don’t have the deluxe workouts (yet?) so I stuck with the base kit. It’s Friday folks. Have fun today! Back to the P90X3 workouts! This was a fun one! Or something like that. All of the moves are held (that’s where the title comes from – isometric contractions use the muscle by holding, not using movement through a range of motion) for 45 seconds. Some of the exercises are super hard to hold, some are not as hard. It takes balance and strength to do this workout pretty, so don’t stress if it isn’t! That’s something to work towards…and the reason to not skip this workout! There are a bunch of different planks, some yoga moves like dancer and chair, and some that I had never seen. I really enjoyed the bound dogs – in downward dog, you grab your ankle with the opposite arm. It was a balance challenge, but keep a smile on your face and let it happen. This is one of the transition week workouts. The schedule is made up of 3 blocks, with 3 weeks of the tough stuff and then a lighter week called transition. So this doesn’t come up in the schedule much! But, again, don’t skip it! Is balance a challenge for you? I’m still working my way through the individual P90X3 video reviews, but I’m done with the program and have my results ready to share! If you follow me on Facebook, you’ve seen them already…sorry! Stats – down 10 lbs and 7.7″ and clothes are falling off me. I didn’t see it in the pics, but others saw the differences…we’re always our worst critic! I do see changes in my legs and rear, which are rare places to change on me! I feel good and am more determined than ever on the nutrition front. I know that I could have had stellar results with this program had I not had a few stints of poor choices. 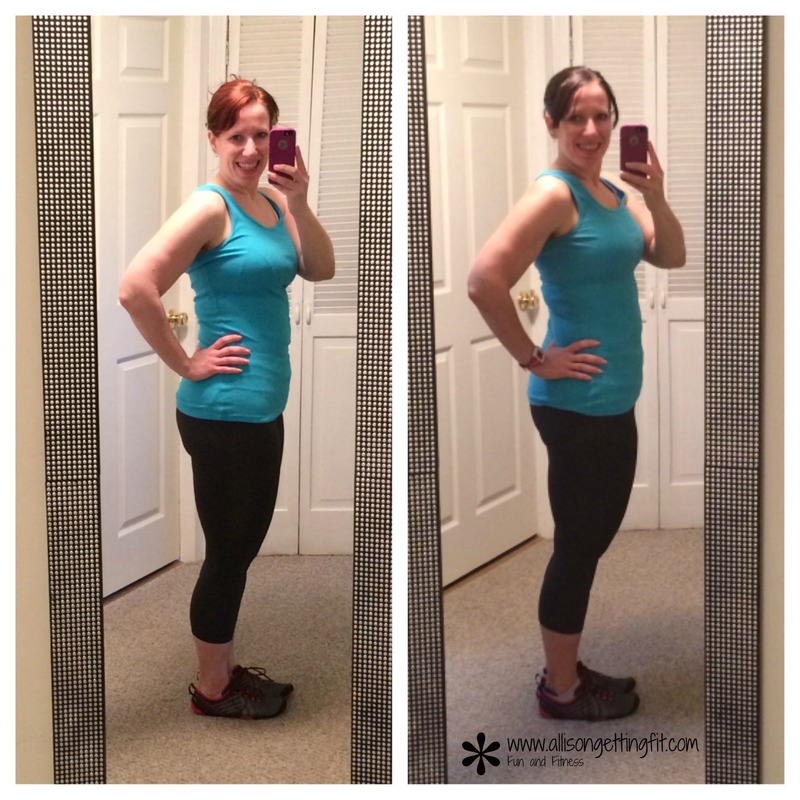 I was helped towards the end with the 3-Day Refresh (results here), both on the determined eating and weight loss. I also gained a bit of weight in the middle! I crept up about 3 lbs without even really noticing! It’s all the little choices that add up to your results. If you make good ones, you excel. Bad ones, you crash! 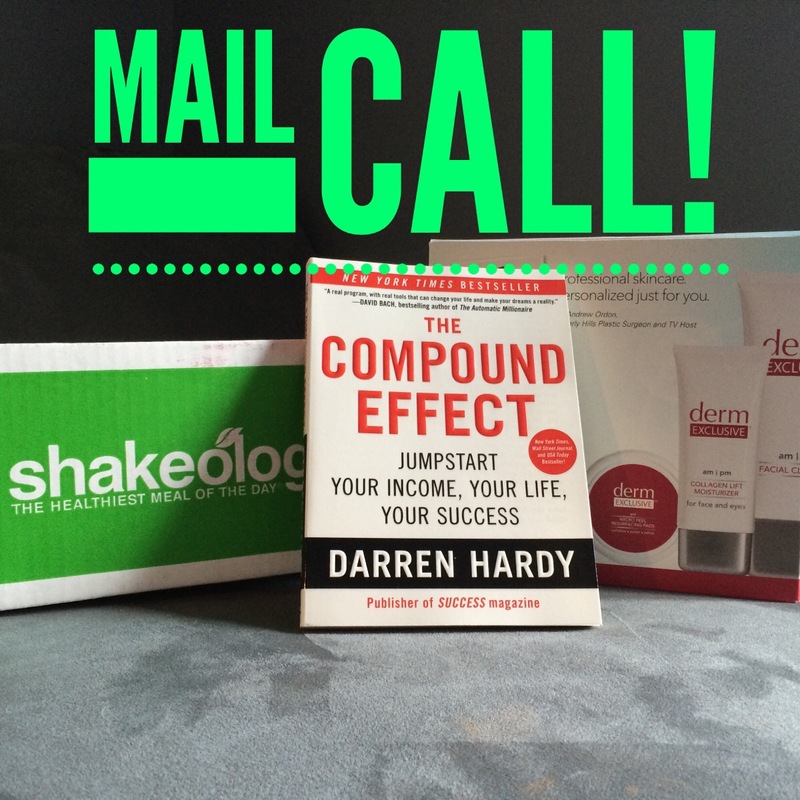 That’s the premise of a fantastic book – The Compound Effect by Darren Hardy. I actually got a copy as a prize but have already read it (and own it!). So I’m giving it away to the next person who joins me as a coach. I have a new coach training starting next Monday, August 11 to get people started on their best track to success in helping others. And this book is an added bonus, but is recommended for all! What little choice can you make today to make you better? Time to finish up the P90X3 workouts! 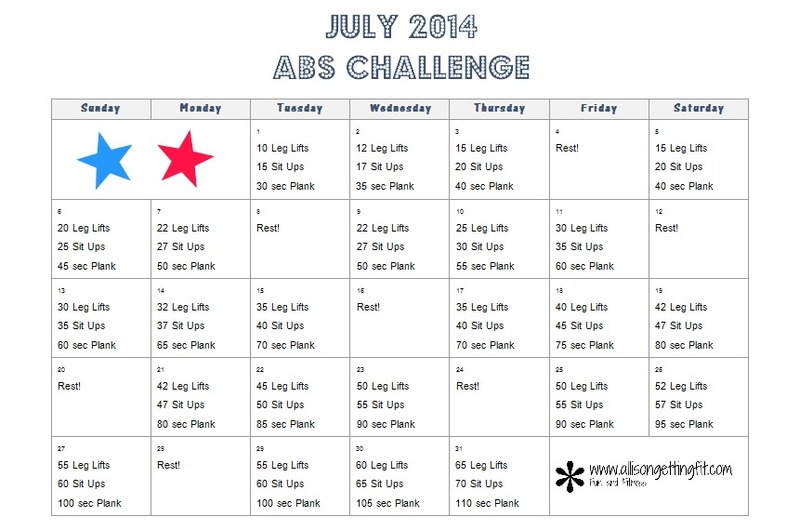 I am about done with the 90 days and have done even the transition week workouts a few times, so lets hear about them. But first, MMX. How did I not do this write up along with the rest of block 2? I love this workout – no surprise there with my past kickboxing workout love. This is a martial arts inspired workout…punches, kicks, elbows and sprawls are the main moves, pieced together in different combinations. There are four rounds (which mostly means four breaks!) of four exercises. Each exercise is done for 30 seconds per side. There are some moves I hadn’t seen before like a Superman Punch (hopping forward on one foot while punching with the opposite hand) and Gladiator (that I still need to watch to “get” – a hitch kick with a lunge and punch). Most of the rest are typical kickboxing combos and none are overly complicated (other than Gladiator, which is in the last exercise). I like that they are repeated for 30 seconds, so you can figure it out and repeat. As usual for these workouts, there isn’t really a preview of the exercises, and Tony and crew are on the same leg, not mirroring. Just things to keep in mind. I still look forward to this workout each time it comes up on my schedule! I hate the sprawls, but they’re good for you! Nope, not a typo! P90X3‘s Triometrics is like plyometrics times three! It’s not ALL jumpy plyo though (thank goodness). But it’s explosive moves, using three levels of each move. So on average, you do level one for 20 seconds, level two for 20, and then level three for 20. The recommended modification is to stay in level two instead of moving to level three. One thing about this – you can modify some moves and go all out on others. Don’t just decide that you’re sticking with two for the workout. Go by the exercise and how you feel! Many of the exercises have a balance component, which is fun and challenging. For most, you aren’t even jumping in level one or two if it is a jump move. I think my point here is that this sounds like a very intimidating workout. Yes, it is challenging, but wasn’t nearly as scary in reality. I enjoyed the progressions – you aren’t doing anything for too long, and it goes by quickly. You’ll feel it in your legs…promise! There’s no equipment used here. I pull out my jump mat and use it for some exercises and not others. It also has a triple speed skater, so move the furniture to the side! When you hear “Triometrics” what do you think ? It’s time to tell you all about the next P90X3 workout! I’m on my third time through the block 2 workouts this week and it’s flying by! After this week, there are just 7 more to go. Is it time to kick it up a notch? Not sure I need to…I haven’t been holding back! So the eccentric workouts (check out lower later this week) work the negative or eccentric part of the move when the muscle lengthens (concentric is when it shortens). For example, in a push up, it is the down portion. In a biceps curl, it is the way back down. All of the exercises in this workout follow a 1:3 timing ratio, so one count on the positive, three on the negative. For most of the workout, you get three moves and then a little break. Mostly just to write down your weights and grab a sip of water! There are many types of push ups and pull ups along with weighted moves. I am still working on pull ups. I’ve gone from a chair assist to the chin up max, but I usually don’t do all of the reps. And that’s okay! That is why we write down what we did – so we can improve and adjust. 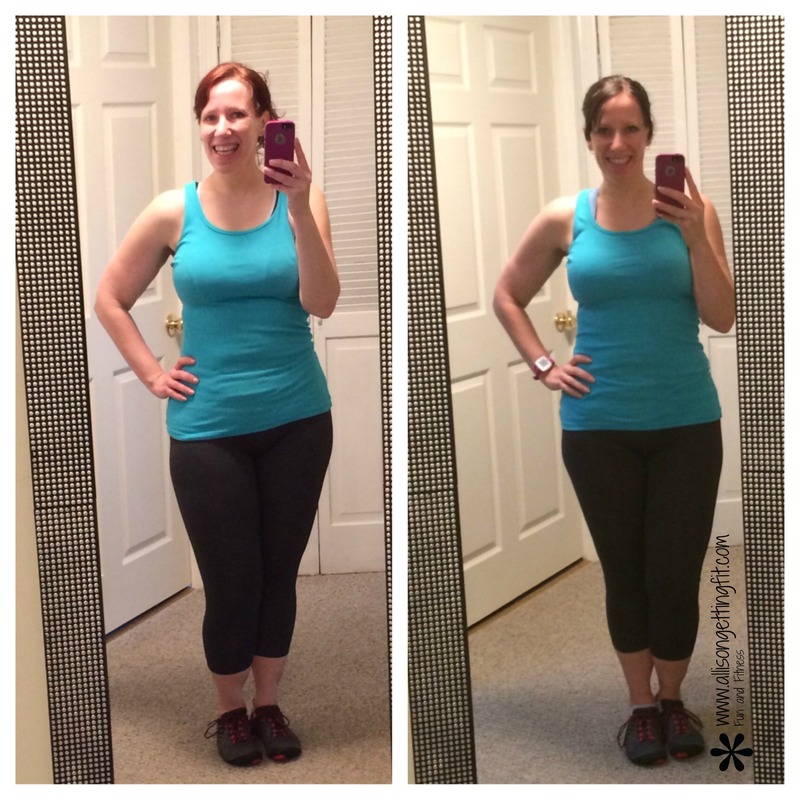 I made a note last week to go down in weight on one of the exercises…that’s okay too. Form is number one, and I couldn’t keep my form for the 10 reps with the heavier weight. So this time I dropped down and did 10 perfectly. I’ve been using the P90X app to record my workouts, but paper and pen works too. I know I always have my phone, so I never have to look for my paper. The big move of this workout for me (and I’m sure a lot of others!) is the plyo push up. You do a push up and keep going up! The first two times through the workout, I did hands only (keeping my feet on the ground), but yesterday I went for it! I got my hands and feet (slightly) off the ground in nine out of ten reps! Remember, we are looking for progress. Not perfection, not that you can do everything in the videos like they do. Just that you keep getting better! What are you getting better at today? I’m taking a pause on writing about the P90X3 workouts. I’ve written about the workouts for each day in Block 1 prior to the transition week, and I only did some of those workouts once. I like to have more experience with a workout before I post about it. I’m now in the first week of Block 2, doing all new (to me) workouts. I think I like the second time through a workout the most. I’m not yet anticipating what comes next, but it isn’t all new. The first time takes the most focus to figure out what you’re doing, what equipment you want to grab, etc. To that, I moved my weights recently to make them easier to grab! I workout in my living room (not a workout-specific place!) and have usually stored my weights under one of the couches. I had them under the couch near the wall, which is behind and to the side of where I workout. I moved them to the couch that I move to workout. So now, I move the couch and the weights are ready to go! This was very much a “Why didn’t I think of this earlier?” moment! 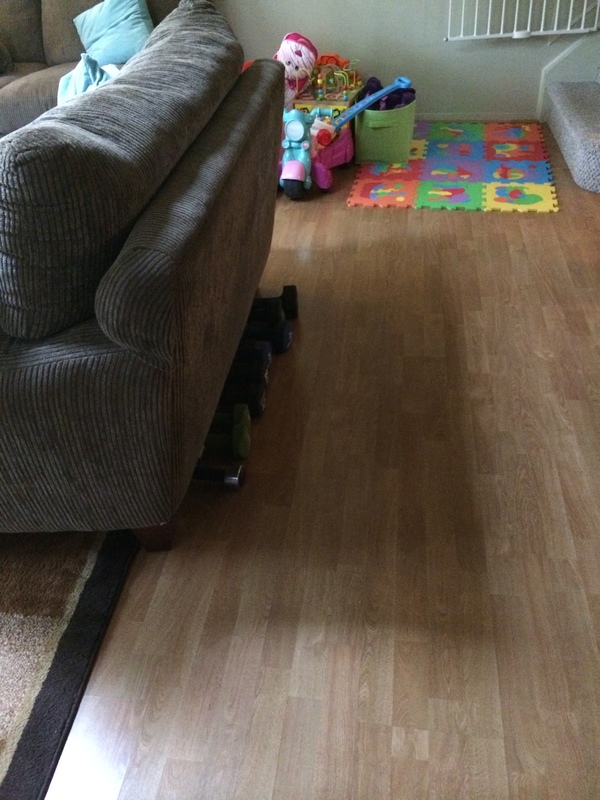 Besides being conveniently located, now the weights are far enough under the couch when not in use that little hands don’t try to play with them. And they are still out of the way enough when I workout that the weights aren’t in my way if the workout doesn’t use them. Do you have a dedicated workout space or are you stashing weights like me? So this is P90X3‘s idea of active rest. You can do this, or rest, on the last day of your week. I have done it 2/4 weeks I’ve finished, and sometimes take Zumba also/instead. Zumba is at the gym, where my daughter has been enjoying going to the childcare center (finally! ), so that both is some fun cardio and keeps her in the habit of going there. It’s pronounced like Dynamics, but I often say it more like I say Vitamix in my head. You wanted to know that, yes? The workout is supposed to help you move properly, increase range of motion, flexibility and stabilization. There isn’t jumping in this, but it’s definitely a workout! You do each move for 30 seconds. There are a lot of moving stretches, similar to (and including) the double knee pulls in the warm ups for many of the other workouts. You also get some different lunges, core work, and Pilates style leg work. The moves can be tough, but the 30 second time limit works to make it a bit easier than if it was a minute. I like this workout. It isn’t my favorite, but I tend to love the big calorie burn ones. Dynamix was more than X3 Yoga for me, but less than Total Synergistics. It isn’t the calorie burn that makes me love them though. It just often happens that I find them more fun. What about you? Do you find yourself drawn to the big burn workouts or the lower ones? Sounds strong, right? This P90X3 workout is a total body workout that uses no equipment and can be done anywhere. I did it in my living room, but it would be great to have on vacation or anywhere else that you want to workout but don’t want to have a bunch of equipment with you. Almost all of the moves here are done for a minute. Then you’re on to something else! You work through an arm exercise, cardio exercise, leg exercise, core exercise and then it’s back to arms. This is another one where the names sound scarier than the moves for the most part, so don’t get worried. One that is a little scary is the Super Burpee…for me because I kept getting confused at the move and what I was supposed to be doing. On that note, the moves aren’t really previewed (in any of the videos) before the time starts. I would recommend at least reading the descriptions in the guide, but better would be to watch the video before you plan to do it. Trying to figure out what some of the exercises are doing while also trying to do them is okay for a lot of exercises, but some it is hard to watch and do. The burpees were like that for me, since I can’t see the TV as well from the burpee position. Also, any type of pull up, because I can’t see the TV at all from my pull up bar if I want to also see it for the rest of the video! I have Triometrics on the schedule today, so I need to take my own advice and read up on that! I really enjoyed this workout. It was a tough one, but I didn’t dread it each week, so that usually means it’s a good amount of toughness. Not so hard that I don’t want to press play, but still a challenge! Do you prepare for your workouts or jump in and see what happens?